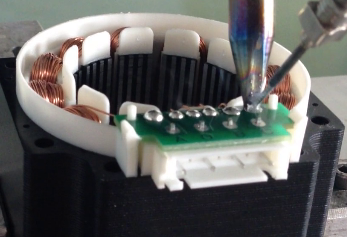 G351 is a 5 axis soldering robot with X,Y,Z,R,and solering wire feeding motion system. 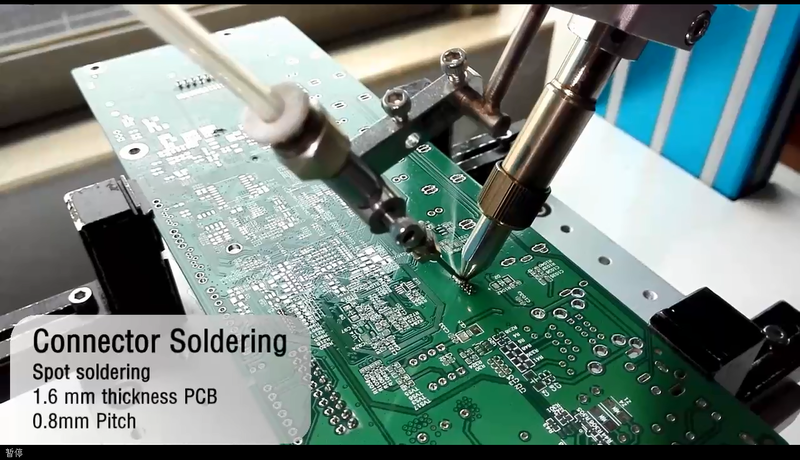 it is equipped with 400W high frequency heatig system with rapid heat recovery ,soldering tip is easy to te exchanged with low cost .Break-tin automatic soler wire feeder can reduce flux remaining problem after soldering . Self-developed software under windows 7 English OS is easy to operate . ● Advanced industrial design make machine looks very beatiful, solid structure and X/Y/Z/R step motor with it's motion control system ensure machine run smoothly and precisely. ● X,Y,Z,R,and soldering wire feeding motion system are all controlled by one combined 5 axis motion control card with PC,so it can integrate all the functions into one software like programming , soldering time setting ,solder wire feeding length setting,motion control .it makes machine running more stable and easy to operate.The repeated accuracy of 24-hour“NRZ” continuous motion<0.06mm . ● High frequency induction heating system with 400W high power(600W is optional) ,it has rapid temperature recovery time. ● Heating element adopt silver coil which can ensure long lifetime . Induction type soldering tip can be easliy changed with lower cost .heating speed is very fast.With the rotation axis,iron components can rotate 330 degrees. fully meet the differeent angle of welding products. 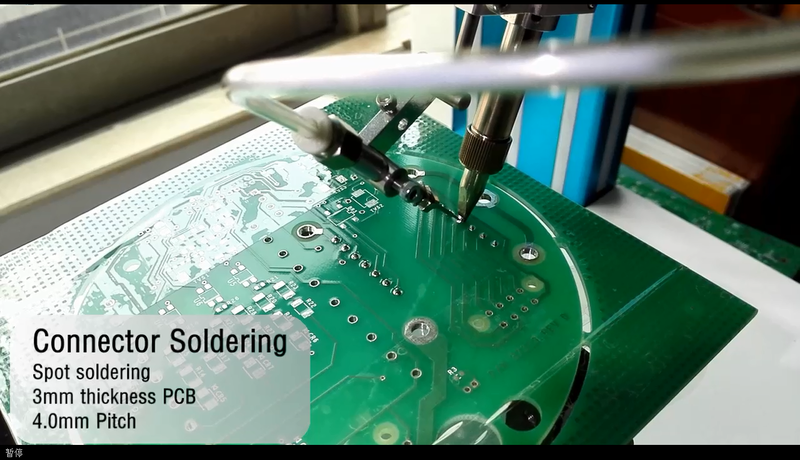 ● Break tin solder wire feeding system can pierce holes when feeding solder wire ,it can reduce burst tin that causes flux remaining on PCB when soldering under high temperature to improve the soldering quality .solder wire feeding accuracy can reach 0.1mm,equipped with Lack tin and block tin automatic check function. ● Cleaning system: Adopt electric steel brush to clean the soldering tip,which has high efficiency.It can quickly remove the residual tin on the soldering tip.The damage to the tip is very small. Adopt motion control card and motor, the clean time can be set free.Cleaning speed can be adjusted. ● G351 adopt self-developed software based on windows 7 English operation system ,use touchscreen with wireless controller and teach method for programming. ● Optional CCD:High resolution CCD ,it has mark positioning function ,and can automatically correct the coordinate offset. integrate all the functions into one software like programming , soldering time setting ,solder wire feeding length setting,motion control .it makes machine running more stable and easy to operate.